East Coast Metals manufactures precision fitting roof tile components for every major tile manufacturer in the United States. From Valley Metals to Eave closures to Flashings we take the 35+ years we have in the Roofing Industry and apply it to manufacturing quality metal components. East Coast Metal’s understands that every job is unique, and not all standard length products will leave the job properly finished. Our in-house Custom Metal Shop will work with you and your team to create a customized solution for those jobs. Come in today and speak to a Custom Metal Shop Specialist! Looking for a Metal Roofing System? East Coast Metals has the experience to help you with every job, from start to finish. Whether you are looking for Structural or Architectural metal roofing systems ECM has what you need, come into our showroom today to see a finished product! At East Coast Metals we pride ourselves on making the End Users dream a reality. Whether you are looking for a residential or commercial Metal Roofing System, our knowledgeable staff will ensure that all of your needs are met. Stop by our showroom today to see a finished product & speak with one of our Metal Roofing Systems Specialists! largest roof tile manufacturers in the world. 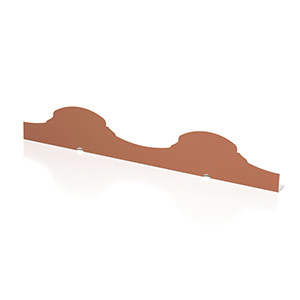 At East Coast Metals we fabricate metal roof tile components for every major Tile Manufacturer in the United States. By working together with the Tile Manufacturer’s we can ensure that our components leave every tile section with the proper spacing. With a wide variety of color options, our Roof Tile Component Specialists will make matching your tile profile a breeze. Traditional roofing lasts roughly 12-20 years depending on environmental conditions. 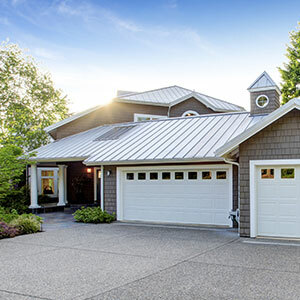 Metal roofing systems can last up to 70 years saving you money over time. Metal roofs are capable of withstanding hurricane force winds of up to 140 miles per hour and because they don't corrode like traditional roofs, remain impact-resistant throughout the years. Metal roofs are the perfect defense against lightning strikes and wildfire. Protect your home or business from unfortunate roof fires. Metal roofs help reduce your cooling costs as much as 25% by deflecting solar heat. These savings help offset your purchase costs over time. Metal roofs are composed of up to 95% recycled material and can also be completely recycled after use, making them an environmentally viable option.